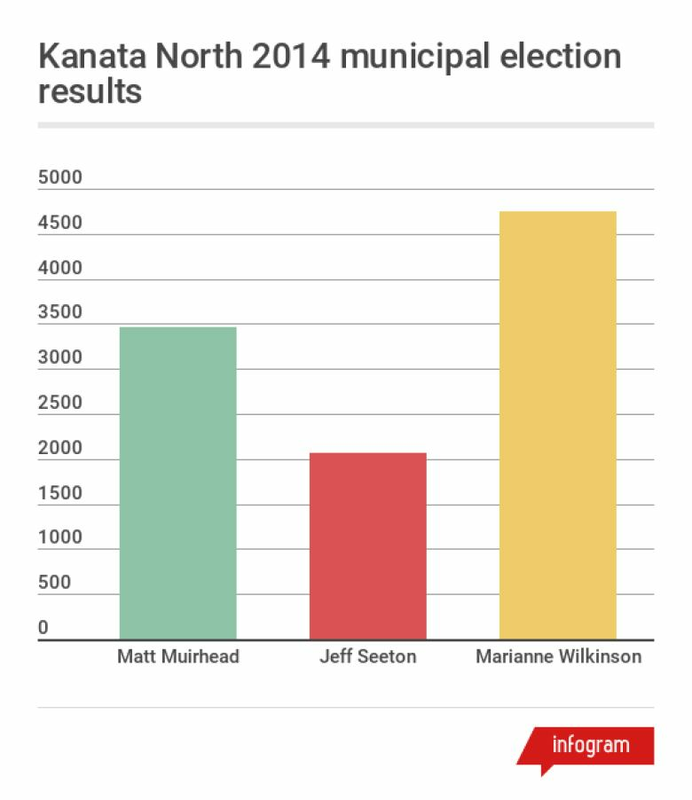 The departure of a longtime politician has opened up the seat in Kanata North for the first time in years. 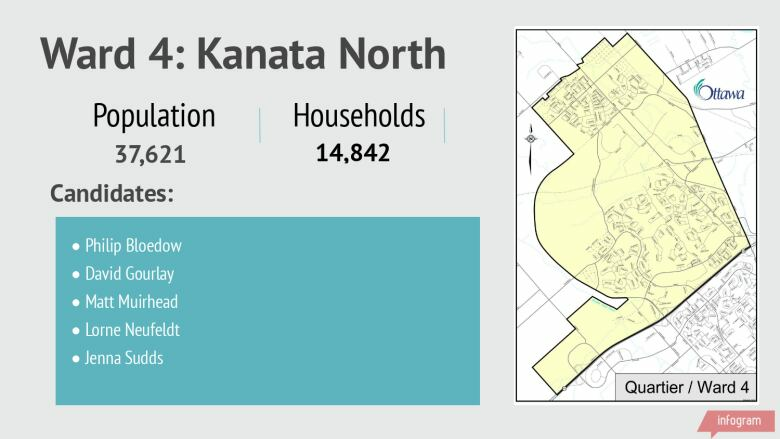 Kanata North has a population of 37,621 people living in 14,842 homes. In March, Marianne Wilkinson — who won with 46 per cent of the vote in 2014 — announced she was calling it quits and wouldn't run again. Matt Muirhead, who came in second in 2014 with 33 per cent of the vote. Kanata North is one of the few suburban wards with a large employment centre, but residents are frustrated over the lack of transit options to get to work and around their local neighbourhoods. There are plans to have the LRT eventually run through the ward, but not until after 2031.